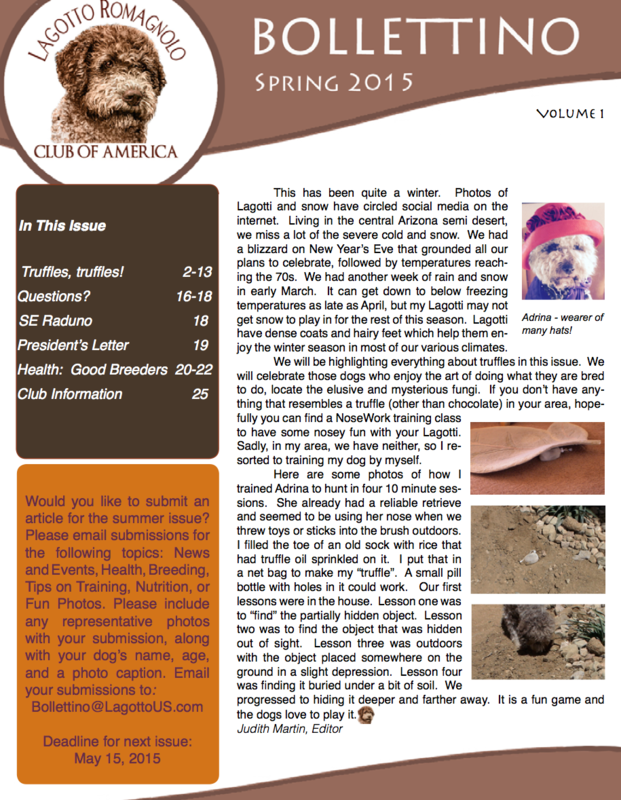 The Bollettino is the official newsletter of the Lagotto Romagnolo Club of America. It is published three to four times per year and contains information about club business, health, training, breeding, showing, brags, Lagotto related activities and much, much more. Current issues are available to club members in the Members Only section of the website. If you would like to receive the new Bollettino issues as they are published, please join the LRCA!